Step through electric bikes make the step through bikes even more user friendly with the addition of an electric motor. This makes it pedal optional and easier than ever to ride. 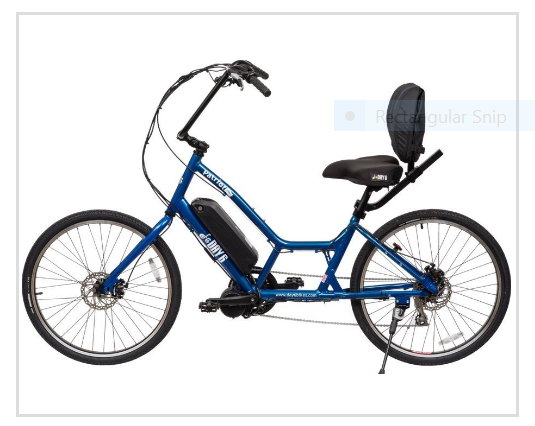 You can pedal for some exercise, use the motor to assist as needed, or use the motor full time and just ride for fun and economical transport. There is a whole new family of bicycles from Prodeco made in the USA that not only are step through but have the added advantage of being foldable. This is really taking versatility and conve- nience to new heights. This means you may be able to transport your bike without a rack and storage requires less space. 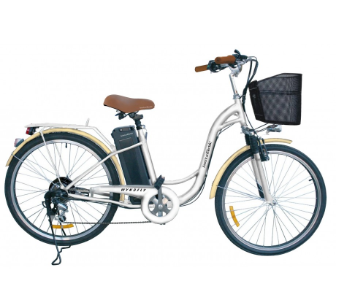 Boomers and seniors are opting for step through electric bikes more and more every year. There is a lot to be said for ease of mounting and dismounting especially if you are not as limber as you once were. A lot of step through riders have become real "converts" and would never go back to a more "conventional" bike. Most step through designs use a "pedal forward" design where the pedals are slightly forward of the seat tube. This means that the rider can maintain the proper seat to pedal distance and still put their feet flat on the ground while seated. This is great if you want to rest occasionally or stop and chat with friends. You can do it and still be seated comfortably. The handlebars are raised to a comfortable height to enable the rider to ride in an upright position. Combined with a softer, and wider saddle this is a real back saver. The tires are 26" low pressure with a medium tread for a cushioned ride on a variety of surfaces. So if you want to ride on a dirt unpaved path you can still get sufficient traction. For seniors in retirement communities the electric bike is great since, unlike a golf cart, they are street legal and most states have no license or insurance requirements. Tubes: 26" X 1.95" Front basket: 10.5" X 13" X 11"
Return from step through electric bikes to electric bicycle.